BOISE — A bill from a Magic Valley lawmaker to begin regulating pharmacy benefit managers in Idaho effectively died Tuesday when a House panel voted not to send it to the floor. 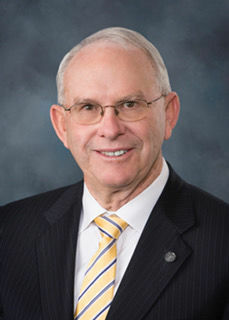 Sen. Jim Patrick, R-Twin Falls, told the Times-News after the vote that he was surprised at the House Health and Welfare Committee’s decision to hold Senate Bill 1068 in committee. The bill would have required pharmacy benefit managers to register with the state and would have given the Department of Insurance the authority to make rules regulating them. Idaho is currently one of a handful of states that do not have any regulations around the managers. SB 1068 bill easily passed the Senate on a 32-2-1 vote, but members of the House committee Tuesday opted not to move the bill forward. Some critics characterized the proposed negotiated rulemaking authority as an invitation for agency overreach and said they would like to see the Legislature work with stakeholders to craft more specific laws addressing some of the issues cited by pharmacists. “I’m just really concerned about this blanket language where we’re going to turn it over to the Department of Insurance and say ‘Hey, make some rules up,’ when there isn’t a really clear understanding of what those rules need to be,” said Rep. Megan Blanksma, R-Hammett. Patrick responded to concerns about the rulemaking process by pointing out that the rules would need to be approved by the Legislature in public hearings. This wasn’t Patrick’s first year working on legislation to crack down on the pharmacy benefit managers, which are third-party administrators under contract by insurance companies, employers and government entities to handle the prescription drug benefit component of health plans. But this year’s bill, which local pharmacy owners described as a good first step for introducing some oversight, was significantly simpler than past efforts. In a Senate committee hearing for the bill earlier this session, Twin Falls pharmacist Doug Fuchs said managers, which control the cost of prescription drugs, cause him to lose money on roughly 10 percent of his prescriptions, amounting to about 3,700 of the 37,000 prescriptions he fills per month. Fuchs said he supported the bill because it would allow the state to pass rules to begin regulating the managers. “The one thing that gives me pause is the following: Are we just going to kick the can down the road and have absolutely nothing done again because there’s people that don’t want to do anything?” Wood said. Patrick told the Times-News after the vote he wasn’t sure whether he will bring the bill back next year, but said he believed the committee vote might have gone differently if he had provided more educational materials and related laws in other states for House members.